CDMA users often complain online about their lesser choice of handsets, and the fact that CDMA phones often tend to have less features, yet are more expensive, than their GSM counterparts. Truth to tell, CDMA as a wireless access technology has lagged behind in India, accounting for just 20% of the countries 670 million subscribers. Worldwide, according to this article in GigaOm, there are 500 million plus CDMA subscribers as against 3.45 billion GSM subscribers, so that makes less than 15% of CDMA users worldwide. Add to this one more statistic, that 70% of the CDMA users (roughly 300 million) are in Asia Pacific! Indian site Pluggd.in reported recently that Apple was in talks with Reliance and Tata Tele to launch a CDMA version of iPhone in the Indian market. Add to this, the fact that high end phones like Samsung Epic and HTC Evo are available on 4 G networks. I would say that for the first time, some truly top-class phones are becoming accessible for CDMA subscribers. The launch of the high end CDMA phones is being driven by the 4G technology which allows way faster internet access than 3 G though it is not yet a widespread technology. Interesting for me to remember that initially CDMA was being touted as a technology with superior potential to GSM when launched, and ironically, 3 G is based on the CDMA technology. The original CDMA companies (Reliance and Tata) started offering GSM services, when their growth flattened. No GSM service company has ventured to offer CDMA. So, I would say, CDMA has no future. I remember that Reliance received a huge response when they launched. I believe one of the reasons the CDMA service never took off in India is that it completely bypassed our desire to constantly uptrade and change our handsets. Firstly, you cannot just swap out the SIM to another phone, you need the operator intervention. Secondly, the phones offered on the platform have always lagged behind. 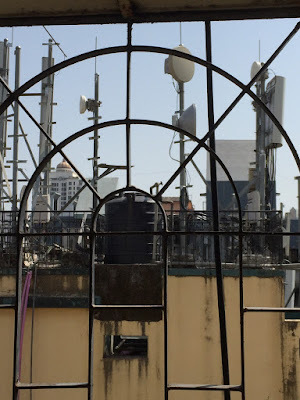 4 G has followed 3 G abroad and it will be interesting to see how it plays out in India. 3 mbps speed on the mobile is a compelling proposition for me. Thanks for commenting! 3G rollout by December 2010?